At Swinton Travel we provide minibus hire for Stag and Hen Parties of various sizes, our minibuses can accommodate 8-16 passengers. Most stag and hen dos these days last the whole weekend as people make the most of celebrating their last night of freedom ! Take advantage of our Manchester minibus hire to get you to and from you destinations, we offer discounts for multiple bookings throughout the weekend, so if you are paint balling in the day, then having a night on the tiles later on, let us take care of your transport for the weekend in on telephone call. If you are going further afield, not a problem we can drop you at your chosen city and collect you the next day, why not have a unforgettable party night and visit our most popular stag and hen destination Newcastle’s famous Geordie Shores, with prices starting from £30.00 per person for a return trip, you could experience the ‘Tyne of your life’. This is to combine your stag and hen do and have a ‘sten’ or ‘hag’ do. 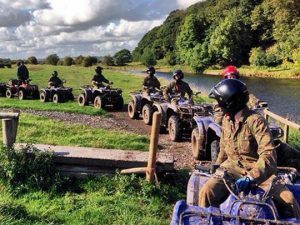 This grown up version of the stag and hen do is a perfect opportunity for your bridal party to get to know each, keep cost down, and ensure you both have an amazing start to your event. Manchester has some excellent events suitable for your sten or hag do, contact us to see what manchester can offer you, or if you are looking further afield why not look at our nights out info or race trips for inspiration.